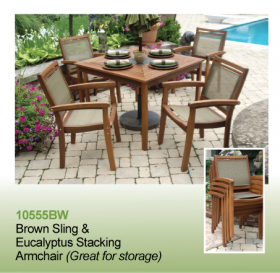 Made of Eucatyptus wood and are very durable. Can be matched with many tables. This chair is also stackable for storage convenience.